DEAL: One to Seven Day lift tickets at up to 30 % off! 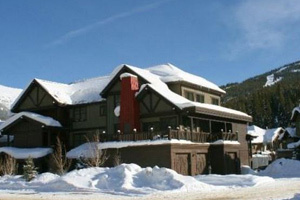 Check out our great Hotel picks and by owner vacation rentals for Copper Mountain! 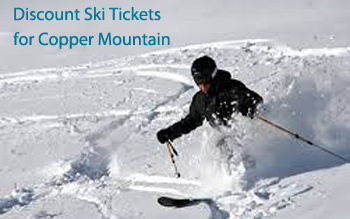 We offer discounts on ski tickets, ski rentals, lodging, by owner rentals, and apres ski ideas for Copper Mountain, Colorado. Copper Mountain is for families. The runs are extensive, not too hard, and the ski school is the best. No fancy apres ski, just an easily accessible mountain, very competent hotels and by owner rentals, and a fun experience for your family! 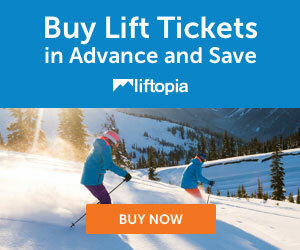 One to Seven Day lift tickets at up to 30 % off! Click here to purchase! 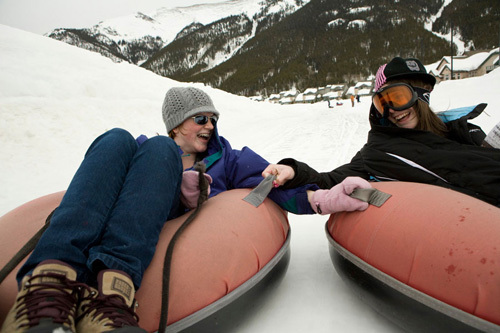 See All Our Great Hotels for Copper Mountain! Featured: The Lodge at Breckenridge - Book it! 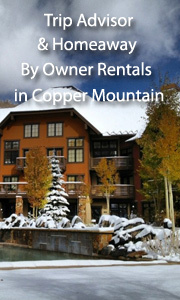 See All Our Hand-Picked By Owner Vacation Rentals in Copper Mountain! Featured: The Cache at Union Creek- 2 Bdrm, 2 bath, slps 4, from $160/nt -- - Book it! The brand new executive 2 bedroom is located in the Cache Building at Union Creek. It is a 2 bedroom, 2 bath and has 1100 square feet. It is short walk to the new high-speed chair lift! The beautiful kitchen has granite counter tops and there are great mountain and ski area views. This condo also includes wireless highspeed internet, ceiling fans in every room (yes, it does get warm here sometimes! ), and surround sound. Washer/dryer in unit gas grill gas fireplace 2 t.v.s/DVD one car heated garage community hot tub. Great Apres Ski Ideas for Copper Mountain! Great ideas for apres ski in Copper! This is the tubing hill! Just Fill In This Form, then you are free to call the store to make sure your order is really right for your family. Call (970) 513-4647 for Christy Sports in Copper Mountain Ski Resort at the Base. Copper Mountain is just 75 miles from Denver with 2,450 acres of skiable terrain and a village that feels more like a neighborhood. Copper's guests enjoy steps away lodging, après ski entertainment, naturally divided terrain, exciting events and a welcoming, knowledgeable staff. It’s a mountain that boasts Catalyst, one of the country’s best terrain parks – and four high alpine bowls to challenge you. 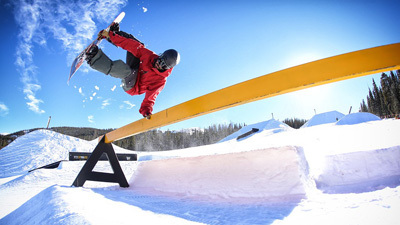 Come check out Woodward at Copper, the only indoor training facility dedicated to skiing and snowboarding. With a skate bowl, trampolines, big air, cliff drop, foam pits and more. By owner vacation rentals in Copper Mountain, Colorado!